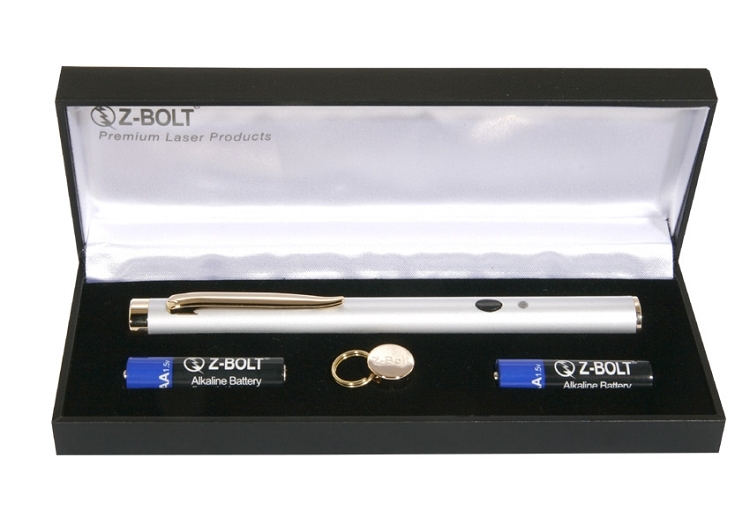 The DTAP-5 green laser pointer features our proprietary design "Double Tap" switching circuit. A momentary or constant-on presenter. Silver or black finish. Lanyard & accessory end cap; gift case. Includes an IR filter for eye and office safety. 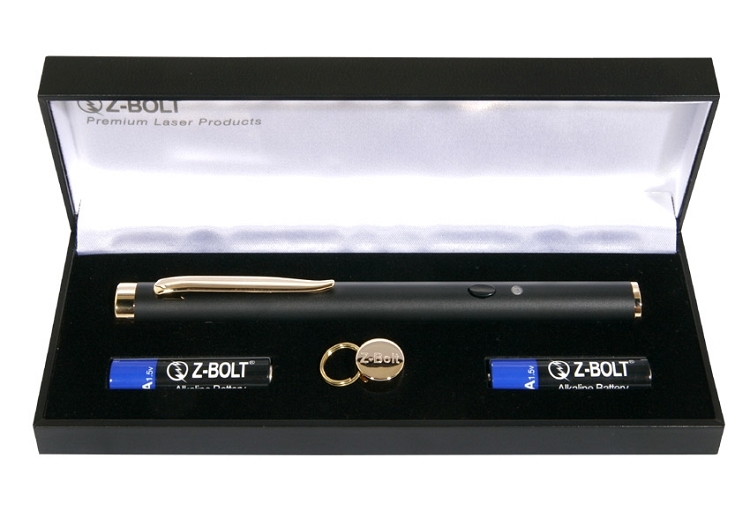 The Z-Bolt® DTAP-5 green laser pointer features our proprietary design "Double Tap" APC control circuit for added function and power output stability (see below). Operate in two (2) modes - hold down thumb for momentary push button activation; "Double Tap" for constant on use. Ships in beautiful satin and black felt lined carry case. Matte black or brushed silver finish with polished brass accents. 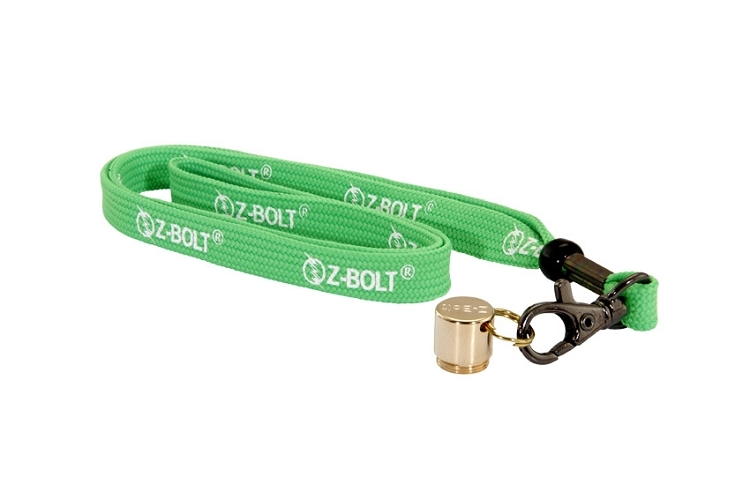 Z-Bolt® lanyard for neck or wrist, special accessory end cap with lanyard loop ring included. The DTAP-5 is constructed of high quality brass and includes IR filter and glass lens for superior laser performance. 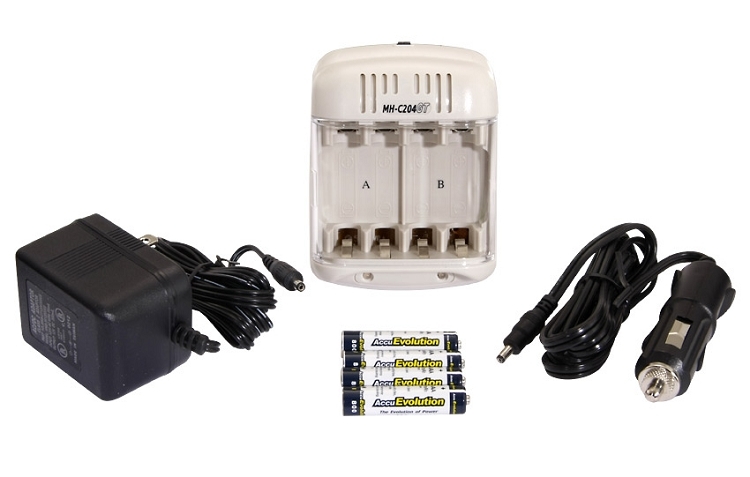 The DTAP-5 ncludes our special APC control circuit and includes an IR filter for eye and office safety. This computerized APC diode drive circuit features "Automatic Power Control". The advanced circuit is based on a photo diode feedback loop. The photo diode monitors the optical output and provides a control signal for the laser diode, helping to maintain the diode operation at a constant optical output level. The circuit adds to the lifetime of the laser, prevents overheating, and provides overall power output stability & efficiency.